ISEE has received core funding from the University of California, Santa Cruz since 2008. ISEE programs, projects, and initiatives are funded through a wide range of sources. Thirty Meter Telescope (TMT) International Observatory: $138,544. Thirty Meter Telescope (TMT) International Observatory: $150,000. 9/1/17-8/31/20. For "Advancing Inclusive Leaders in Astronomy” (AST#17431117). Funds astronomy graduate students and postdocs across the U.S., development of ISEE Chapters, development of new inclusive leadership training, and mentor training in Hawaii. Supplement to UCSC’s NSF Graduate Research Fellowship Program award (NSF# 1339067), to support UCSC STEM graduate students to participate in ISEE’s Professional Development Program. PI: Tyrus Miller. 9/1/16-8/31/17. For “Advancing Leaders in Inclusive Astronomy and STEM” (AST#1643290). Funds astronomy and physics graduate students and postdocs in ISEE’s national network to participate in ISEE’s Professional Development Program (PDP), ISEE’s mentor workshop, revisions to PDP format and curriculum. PI: Lisa Hunter. 9/1/13-8/31/17. For “Professional Development Program: Building a Multi-Level Diverse Workforce in Astronomy” (AST#1347767). Funds the establishment of a national network of astronomy graduate students and postdocs to participate in ISEE’s Professional Development Program and establish their own local activities, participation of astronomy professionals in Hawaii in ISEE’s mentor workshop, and the development of new professional development tools and curricula. PI: Lisa Hunter. 2009-13. Funding for “Akamai Workforce Initiative” (AST#0836053). Funded the Akamai Internship Program, development of a new 4-year Engineering Technology degree program at University of Hawaii Maui College, participation of University of Hawaii and other Hawaii-based participants in ISEE’s Professional Development Program, “Maui Technology Affiliates Group” (industry-university affiliates), community outreach, and other workforce development infrastructure on Maui and more broadly in Hawaii. Managed by ISEE through University of Hawaii ($1,797,171 to UH; $1,050,000 to UCSC). PI: Lisa Hunter. Co-PI’s: Jeffrey Kuhn University of Hawaii, Manoa) and Mark Hoffman (University of Hawaii, Maui College). 2009-11. Funding for “Transforming Undergraduate STEM Experiences Through the Next Generation of Scientist and Engineer Educators” (DUE#1226140). PI: Lisa Hunter. Co-PI: Lynne Raschke. Funding for “Workshop on Communicating STEM through STEM education in Hawaii” (AST1113324). PI: Lisa Hunter. 2007-08. Funding for “Collaborative Research: Akamai Workforce Initiative” (AST#0710699). PI: Lisa Hunter. 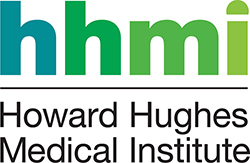 Howard Hughes Medical Institute (HHMI): $33,361. 9/1/16-8/31/17. Awarded through HHMI’s “Sustaining Excellence: New Awards for Science Education to Research Institutes.” Funds ISEE’s role in UCSC’s Active Learning Initiative aimed at increasing persistence of science majors from underrepresented groups. Total funding for ISEE for this project 2014-17: $230,100. PI: Paul Koch. University of California, Santa Cruz: $40,762. 9/1/16-8/31/17. Campus match for 5-year HHMI award (above). Total funding from UCSC for this project, 2014-2017: $118,759. Daniel K. Inouye Solar Telescope (DKIST): $75,000. University of California Observatories: $74,600. Air Force Office of Scientific Research: $449,921. 2015-18. Funds “Akamai Workforce Initiative: A New Era of Building a Multi-Level Diverse Workforce in Astronomy and Remote Sensing” (FA9550-15-1-0427), including support for local students to participate in the Akamai Internship Program and complete projects related to the Air Force Research Laboratory (AFRL), AFRL contractors, and other industry or academic sites on Maui. PI: Lisa Hunter. Co-PI’s: Claire Max and Jerome Shaw. Air Force Office of Scientific Research: $675,000. 2010-2014. Funded Akamai Workforce Initiative (FA9550-10-1-0044), including support for local students to participate in the Akamai Internship Program and complete projects related to the Air Force Research Laboratory (AFRL), AFRL contractors, and other industry or academic sites on Maui. Managed by ISEE through University of Hawaii. PI: Lisa Hunter. Co-PI: Jeffrey Kuhn (University of Hawaii, Manoa). 1/1/17-12/31/17. Funds Akamai Internship Program. In early years funded the Akama/NSO Technical Careers Course on Maui. Total funding to date: $135,755. PI: Lisa Hunter.